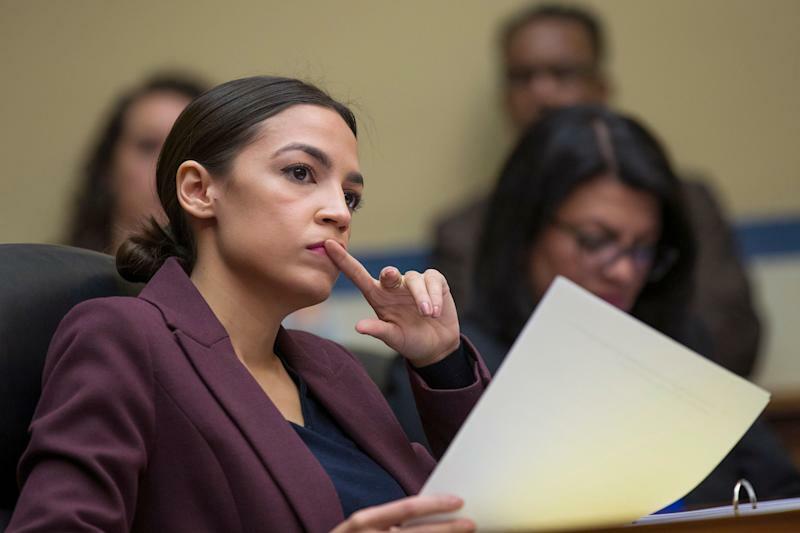 On Twitter, Rep. Alexandria Ocasio-Cortez, D-N.Y., offered a quick rejoinder to the president. Democrats are seeking Trump’s tax returns to investigate allegations of corruption against the president and his businesses, and the president’s legal team is promising a vigorous fight to keep them private. During the 2016 presidential campaign Trump became the first presidential candidate in 40 years to refuse to make tax returns public. The president has routinely explained that he would not make his returns public so long as they are under audit, and in November asserted that “people wouldn’t understand” his complex returns. “Look, as I’ve told you, they’re under audit. They’re extremely complex. People wouldn’t understand them,” Trump said at a White House news conference following the midterm elections that returned control of the House of Representatives to Democrats. Officials at the IRS — who presumably would be able to decipher the president’s taxes — have stated that an audit would not preclude the release of a tax return. Trump has also declined to provide an audit letter from the IRS that would show that his returns are, indeed, being audited. Wednesday’s request to the IRS by Democrats could answer numerous questions about the president’s business dealings, including with foreign entities.